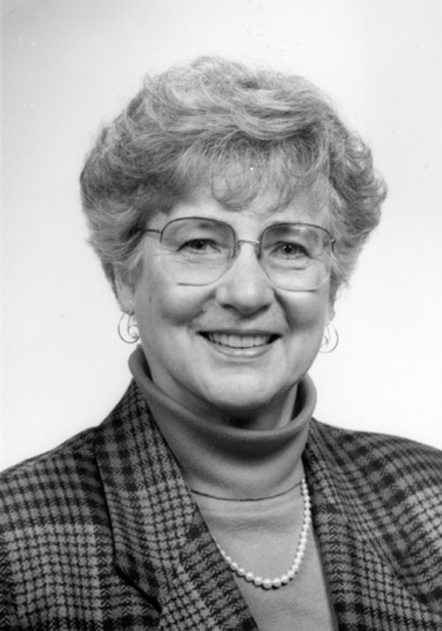 Sylvia Kerckhoff defeated incumbent Harry Rodenhizer to became Durham’s first female mayor in 1993, serving two terms. Before becoming mayor, she served six terms on the Durham City Council. Key issues during her time in office included economic development, crime prevention, and affordable housing. Two acts during her tenure made her especially proud. The first of these was the creation of Downtown Durham Inc. in 1993. The nonprofit was organized to “promote and facilitate development and revitalization of the city center,” and slowly but surely the city center began to show the results of the organization’s efforts. The other was the city council’s acceptance of a “living wage” law that raised the minimum wage of workers on city contracts and payrolls to $7.55 an hour, much more than the federal minimum wage of $4.75 in effect in 1966. The ordinance passed in January 1998. A native of Toledo, Ohio, Kerckhoff graduated from the University of Wisconsin in 1950 with a degree in psychology. She pursued Master’s degrees in history and education from Duke University, from which she graduated in 1960. Kerckhoff advocated for education and women’s rights as an active member of the North Carolina League of Women Voters and as a long-time teacher at the Cooperative School for Pregnant Girls, which was established to provide academic, emotional, and medical support to a group highly susceptible to dropping out of school. Throughout the 1960s, 1970s, and 1980s, she served on a number of boards and committees.